With so many offerings available these days it can seem overwhelming to pick through the seemingly endless options if you do not know where to begin. Waxless bases, wood air cores, steel edges, and cambers are amongst some of the choices you must wade through. Rest assured we have something in our selection for you. With trusted brands Fischer Skis and Rossignol to pick from we have taken some of the guess work out of the equation for you. 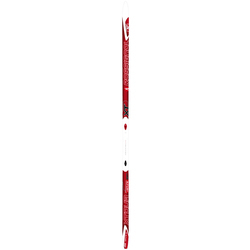 Once you choose a ski fitting your ability level and conditions you are most likely to meet out on the trail you can pick the length you are looking for, we offer models from 159cm to 189cm.